For those availing of our El Nido Island Hopping Tours, you may also avail of Puerto Princesa Tours with us. Includes roundtrip air-conditioned van transfer, buffet lunch, Underground River Permit, Boat Transfers, Paddle Boat Tour inside the Underground River, Environmental Fee and Licensed Tour Guide to assist you. 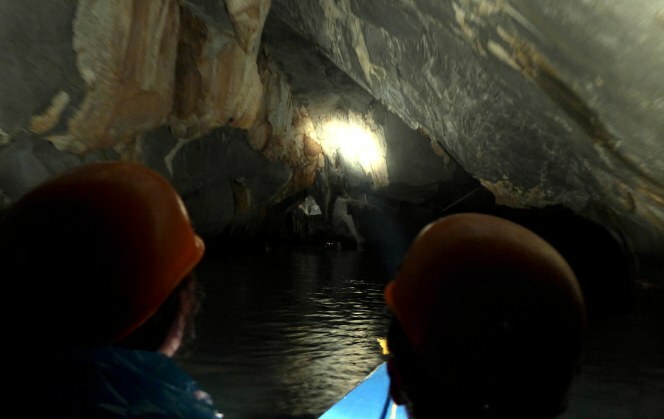 Book with us about a month or two in an advance for the Underground River Tour as this could quickly get fully booked as dates are nearing. Includes round trip air-conditioned transportation from the town proper of Puerto Princesa City, Free Lunch, Entrance Fees, Boat Transfers and Guide to assist you to go around the Tabon Caves Complex. Includes roundtrip air-conditioned van transfer, buffet dinner, Paddleboat firefly watching and stargazing tour. Includes airconditioned van transfer, lunch, entrance fees, boat for island hopping and licensed tour guide to assist you. Includes Air-conditioned Van Transfers, Boat Transfers, Entrance Fees, Cottage Rentals, Buffet Lunch and Tour Guide to assist you.